The Law Offices of Fernando D. Vargas is a highly successful , plaintiff personal injury law firm, which provides effective legal representation with personal attention to clients that have suffered severe personal injurie from automobile accidents, motorcycle accidents, truck accidents, bicycle accidents, pedestrian accidents, train accidents, slip and fall accidents, premises accidents, wrongful death accidents, and dog bite accidents. 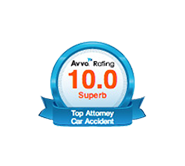 What Sets Us Apart From Other Firms and Personal Injury Lawyers? Results: See our client testimonials, The law offices of Fernando D. Vargas has successfully championed the rights of clients in all types of motor vehicle and other personal injury matters, winning millions of dollars in verdicts and settlements for their clients. The firm is uncompromisingly dedicated, completely driven, and entirely focused on serving each and every client with the absolute highest standards of ethics and professional excellence. Experience: Fernando Vargas has been handling motor vehicle and other personal injury cases exclusively since 1987. Attorney Vargas began his career by working with the insurance companies in defending the party that caused the accidents. After defending the insurance companies with great success, Mr. Vargas left the defense side of the practice and began fighting the insurance companies in asserting injury claims and litigating injury lawsuits against the party that caused the accidents. Attorney Vargas, who founded his firm in 1995, has a unique insight and tremendous volume of experience in negotiating and litigating motor vehicle accidents and other personal injury cases. This experience provides the firm’s clients with an enormous benefit as it allows Mr. Vargas to very skillfully litigate and aggressively negotiate all matters. Personal Attention: Fernando Vargas understands the significant value, extreme importance and tremendous advantage that his experience provides in obtaining the absolute highest settlements for the firm’s clients. Therefore, Mr. Vargas handles and personally tends to each and every one of his clients. From the very first communication, attorney Vargas personally consults with his clients about the details of their cases. Throughout all phases of the case, Mr. Vargas is constantly accessible to personally advise, guide, and counsel his clients. In his quest to serve his clients with the highest standards of professional excellence, attorney Vargas provides them with unparalleled personal attention. If you or a loved one has suffered personal injuries in an accident due to the negligence of another, the Law Offices of Fernando D. Vargas can help. Mr. Vargas has the skill, expertise, and experience necessary to successfully litigate your personal injury case. In addition, attorney Vargas has a team of experts that will work with him to prove your injuries and damages in order to fight the insurance companies and get you the maximum compensation you deserve. During your free consultation, Mr. Vargas will personally discuss the facts of your case, review the details about your injuries, and advise you about your rights. Since 1987, California Personal Injury Attorney Fernando D. Vargas has successfully litigated thousands of personal injury accident cases throughout the Inland Empire and the counties of Los Angeles, Riverside, and San Bernardino with an emphasis in the cities of Pomona, Rancho Cucamonga, Claremont, Montclair, Upland, Ontario, Chino, Fontana, Riverside, and San Bernardino. Personal injury cases can be expensive to litigate. However, the Law Offices of Fernando D. Vargas, which is located in the city of Rancho Cucamonga, takes all of the firm’s personal injury cases on a “contingency fee” basis. This means that you will pay nothing up front and Mr. Vargas will advance all money necessary to prepare your case for either settlement or trial. If Mr. Vargas is unsuccessful in resolving your case, you pay absolutely nothing. Attorney Vargas’ firm, which is fully staffed with bilingual personnel that are fluent in Spanish has successfully championed the rights of personal injury victims by wining millions of dollars in verdicts and settlements for their clients since its foundation in 1995. If you or a loved one has suffered personal injuries due to the negligence of another, it is vital that you consult with a reputable and experienced California Personal Injury Trial Lawyer. Call the Law Offices of Fernando D. Vargas at 877-982-0707 or contact us online to schedule a free consultation. If your injuries prevent you from coming to our Rancho Cucamonga office, we can arrange to visit you at your home or the hospital to ensure the timely investigation of your claim.